Some teachers are planning rockstars. You know the ones – they tote their fully customized teacher planner everywhere. They have every small group, every committee meeting, and every PD day perfectly penciled into color-coded boxes. They’ve mastered the art of planning. Whether you are a master planner or prefer to take it one day at a time, chances are you begin each day with a carefully laid plan and the best of intentions. But that doesn’t mean that it all gets done. Inevitably, the end of the day comes, you review your lesson plans and discover that you skipped your word work lessons for the third day in a row. Sighing, you cross out a plan for the following day and pencil in the overdue word work lesson. You shake your head in frustration wondering how you will ever fit it all in. Luckily there’s a pretty easy solution for a school day that’s overcrowded with curriculum. All you have to do is turn your favorite children’s books into super-powered instructional multi-tools! Children’s books can be used as a springboard for instruction across your entire Language Arts curriculum. Whether you need to teach comprehension skills, vocabulary, word study, or fluency, chances are, there’s a book that will help you do it all! The key to keeping sane amidst an overcrowded reading curriculum lies within the pages of an Anchor Text. An Anchor Text, not to be confused with a mentor text (which can be used to support writing instruction), is a book that you repeatedly read with your students but have a different purpose for reading each time you read the text. Through using an Anchor Text, students become very familiar with the characters, plot, etc. making it easier for them to study the text and to focus on the essential skills necessary to improve reading achievement. In this way, all learning and practice with new strategies become anchored to specific texts. Begin by visiting the Resource Library to select a grade level appropriate book. Then use these Planning Pages to create a week’s worth of super targeted reading instruction. Small Group: Use the Resource Library to differentiate your instruction. Filter the resources by Guided Reading Level to find other books that you can use to further explore the strategy that you will introduce during whole group instruction on Day 2. Then introduce those books to your small groups. Discuss new vocabulary and read the entire book. Whole Group: Use the anchor text to focus on a specific comprehension strategy. Small Group: Use the Resource Library to differentiate your instruction. Filter the resources by Guided Reading Level to find other books that you can use to further explore the strategy that was introduced during whole group instruction. Whole Group: Practice writing about reading using a comprehension strategy prompt that links to the work you did on day 2. Try using the Comprehension Strategy Slips that are included in the Comprehension Strategy Lesson Plan packs. 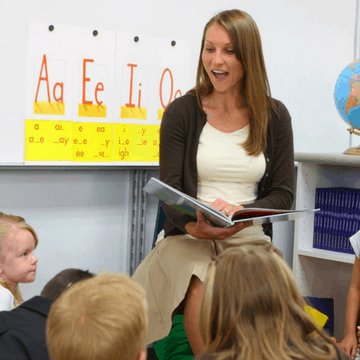 Small Group: Use the Comprehension Strategy Slips that were included in the lesson plan packages for each of your small group books to provide readers with additional writing about reading practice. Whole Group: Use the the anchor text to practice a specific word study skill. Whole Group: Reread the entire book to promote fluency. Small Group: Reread your small group books or focus on other instructional goals. The planning pages are a great resource and will be very useful for sorting data. I love that they are editable. I am not a language arts teacher by nature. So when I began my self contained all subjects taught special needs classes – I’ve been floundering all year. Trying to go from the standards and what other people ha e done – it’s been a nightmare. Now, that I found bookpagez – my reading classes have flowed, the kids are into the reading, I don’t feel as if I’m missing something, and we are all less stressed and more focused! I am new to teaching 5th grade ELA. And the curriculum is a bit overwhelming. As I pursue through your program I am getting excited and looking forward to implementing in my classroom. Congratulations on your new teaching position! We’re glad you’re here. 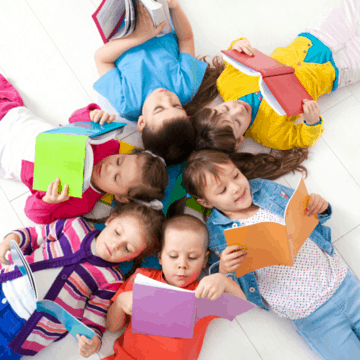 Will you be adding more books for book clubs that are at a little lower level? For example maybe Cam Jansen books, Magic Treehouse, Horrible Harry series, or Secrets of Droon series? Thanks for taking the time to get in touch. We add new resources every Wednesday. We will be releasing resources for Magic Tree House: Dinosaurs Before Dark in June along with resources for Cam Jansen later this summer. How do you use anchor texts to get more done in your day?